Many people who spend a lot of time on the Internet aspire to profit from it. It offers the advantage of working remotely and working for others through free sources that are accessible to everyone, such as creating a YouTube channel or creating clickable sites for advertising space. And your mobile phone only! This report can help you get quick profits in the simplest way - telephone photography. All you have to do is produce a good idea in the image that attracts buyers to you, then prepare to make money. 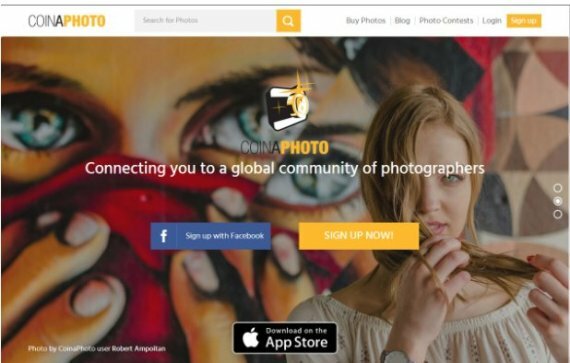 This site is one of the most important sites in the field of photography most profitable, as it provides you with many advantages, including that you can sell your photos more than once to more than one customer also deals with the site on the basis of partnership; The biggest possible profit. This site also offers a greater opportunity to raise your profit by participating in the missions on the Mission, where your image value can reach $ 100! All you need to do is continue to follow the tasks and read the terms and start to implement, all you have to do is follow the steps of registration below in this free site. You sign up with a simple click on Sing up and choose either to create a separate account on the site or sign in directly through your Facebook account. And then enter your private data such as first name, second, country, street and city and of course do not forget to have a Paypal account so that you can collect money through it and once you complete the registration process you will be ready to make money once you add photos of the site. You can link your EYeEM account to sites such as Flickr, Dropbox, Google to make it easy to move your photos on the site in no time. This site differs slightly in the way you make money through it, as the images are presented to the site's users to vote on them, and to win your picture money you must be among the best fifty images voted on the site. All you have to do is register an account on the site and add your photos and then start voting for others. The more you vote for others, the more your photos will appear for them to vote for you. The higher the number of voters on your photo, the more chances you will win. The site features a Free Jobs section. Twenty Twenty offers you a range of business that may be right for you, such as sales, programming, iOS engineering, product design, and other functions offered to you every time. Doing it, and presenting your work as the first participant gives you the opportunity to see as many people as possible. So you can get the highest percentage of votes to win the missions. TWENTY20 offers an iPhone application to help its users work and profit from the phone. This is almost one of the best sites in the relatively easy to profit, in two ways: the first is through the "missions" and in each task you participate you have a greater chance to win because the number of winners in each task "Ten winners" and not just one like other sites. 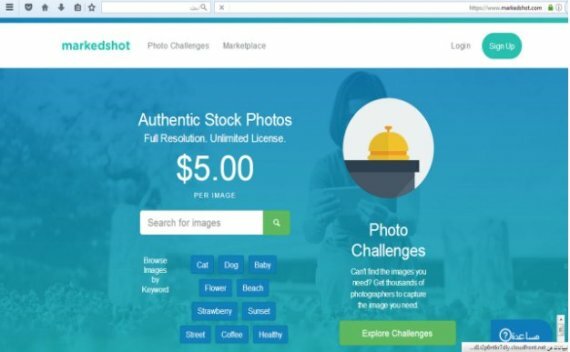 Each image is sold on your own account for $ 5, which is relatively convenient. You are not required to add images to your account and participate in multiple competitions, but you should read the instructions, working conditions and rights. Intellectual property through the home page so as not to violate the rules and cause yourself legal damage, and you need on this site to receive funds either through pay pal or credit card. The site also offers you the advantage of purchasing equipment and tools through it. 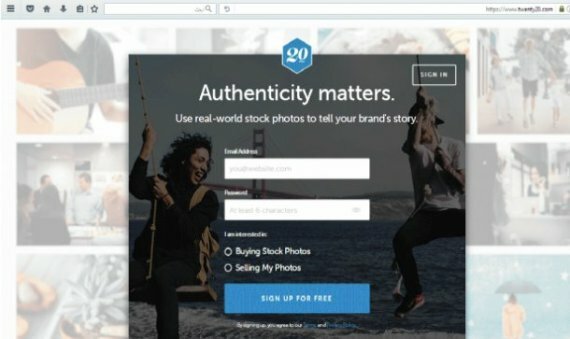 Snapwi is a site characterized by its interaction with the world's largest companies and popular sites such as Google and Getty images. Most of their work is done through this site through Challanges, which has a fixed schedule. The more you get the best pictures, the more votes you win. The profit rate in the challenge is $40 €. 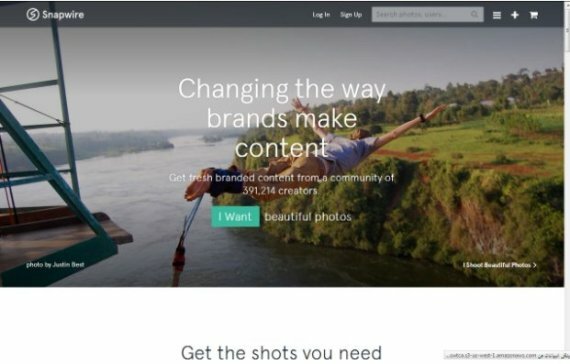 The profit from the challenges is through the site's market. The profit rate ranges from $2 to $75 depending on the quality and professionalism of each image and also requires a Paypal or credit card. The main customers of this site are Google, Getty images, Yahoo, Clint, Petapixel, Gigaom. This site does not differ much from its predecessors, it works the same way and the same tools, and the way you win either by: competitions, or missions, and you get the highest percentage of votes for your photos or through the sale of free through the market site. You also need to sign up for a Paypal account or a credit card. 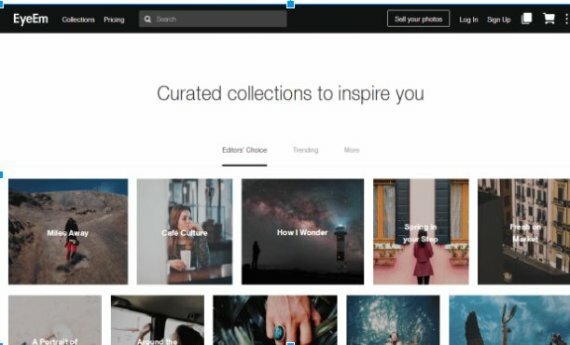 The site offers a feature that serves iPhone phones, an application that allows you to automatically add your photos to the site. 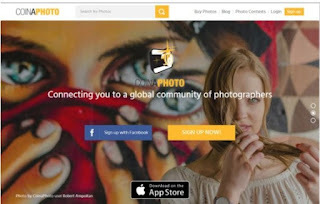 There are also other useful sites to help you refine your photography hobby and help you to produce your photos in the best quality possible to compete and improve your chances of winning money.